Age is like underwear, it creeps up on you. 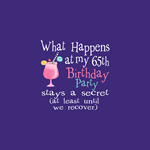 Funny birthday t-shirts to celebrate a 65th birthday party. 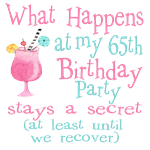 65th birthday gag gifts.Gift ideas for someone turning 65 years old.